Prior to booking attendees must have completed a D/D+ Assessor training or have experience of regular assessing up to D+. This workshop cost £25per person to attend. 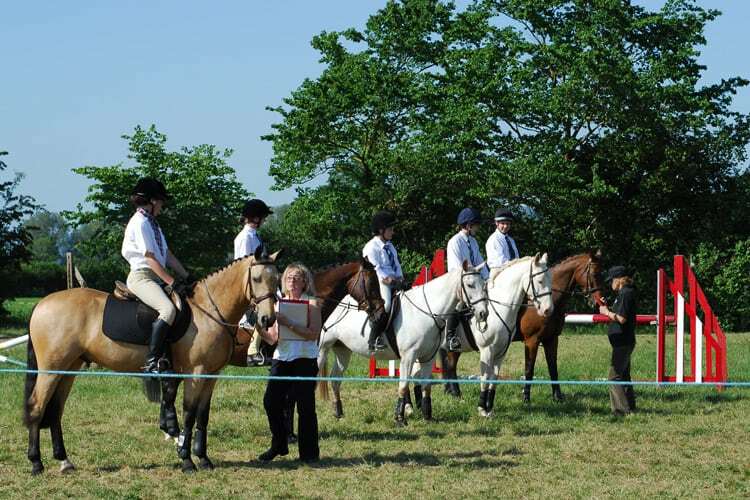 They will count as a CPD refresher for attendees who also coach for The Pony Club. 2-5.30pm 24th September 2017 Cheshire Riding Stables. Please contact Katy Powell Jones to book your place. 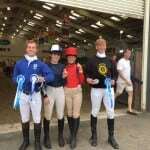 Well done each and every one of you who qualified and represented AREA 5 at the Championships in Cholmondeley. I hope you enjoyed the experience and are aiming to get back there next year. Please would you send me your results (no matter what place!) so that I can collate and produce a results sheet. 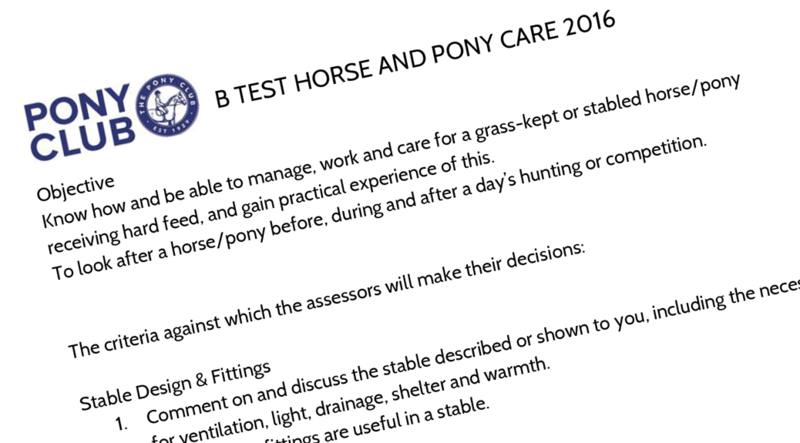 On Wednesday 30th August at 1.30pm (ready to ride for 2pm) we need 8 demo riders (Guinea pigs)who have their D+ test or competent D Test. You will be riding in a rally whilst our Instructors are teaching you. 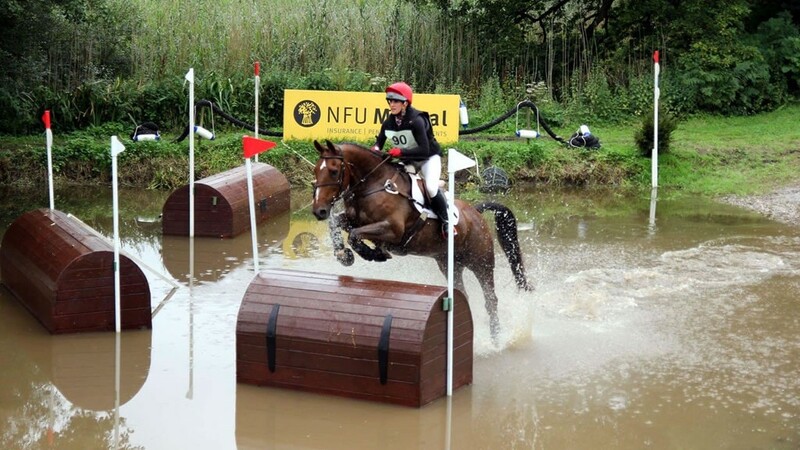 Venue – Mostyn Farm Ride. 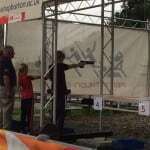 The National Tetrathlon Championships were held at Bishop Burton College from the 11th – 13th August 2017. Area 5 had 7 competitors who qualified at the Area 5 Tetrathlon competition held at Whitfield farm, Warwick for this prestigious event. Unfortunately, Keeva Stott was unable to attend. 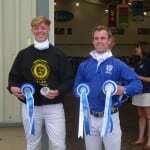 Both Area 5 Open Boys, Russell Wingfield (Aberconwy) and Toby Johnson (East Cheshire) came in the top 10 placings! Toby was 4th with a joint Best Shoot (940) and Russell 9th. 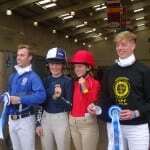 Both competitors achieved a total score in excess of 4000 points which is fantastic achievement. 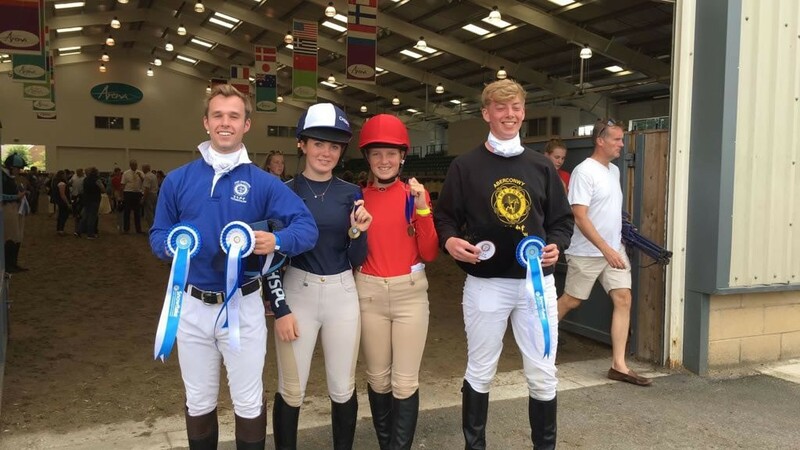 The previous weekend, Toby and Russell had both represented Wales and Borders in the Regional 100 Event held at Southfield House, Nunney, Frome, Somerset. Area 5 had a Mixed Area team of four Junior Girls taking part in the event. Annabel James (East Cheshire), Ella Booth (Cheshire Hunt North), Kiera Booth (Cheshire Hunt North) and Orla Stott (Cheshire Hunt South). This was an exceptionally large class consisting of 86 girls! The competition got underway with some very impressive shoot scores from Area 5. 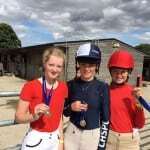 Orla – 900, Kiera – 800, Annabel – 960 and Ella – 980. We hoped Ella’s score would gain her the award for the Best Shoot in the Junior Girls competition but two girls, Connie Gould (Old Berkeley Hunt) and Charlotte Hicks (East Cornwall Hunt) both scored the maximum points achievable of 1000. All the Area 5 Junior Girls had a clear cross-country round on a course that was designed by Joe Weller. 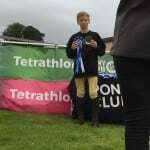 This year was the fourth year of the Grassroots Tetrathlon competition. 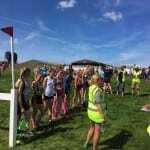 The competition is open to both branch and centre members but competitors must not have competed at Junior level tetrathlon or above at Regional or Area level competitions. Area 5 had two competitors gain the highly sought-after places in this competition both from Flint and Denbigh PC, Archie Lynch and Leah Lamb. Both put in fantastic performances and held their own against much older competitors in a class of 48! Archie achieved 2nd place with a shoot score of 840. He was 4th in the swim and 6th in the run. Leah came 18th with a very impressive shoot of 920 narrowly missing the award for Best Shoot which was 940. 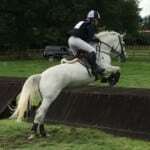 Both Archie and Leah rode clear. Well done all Area 5 competitors!